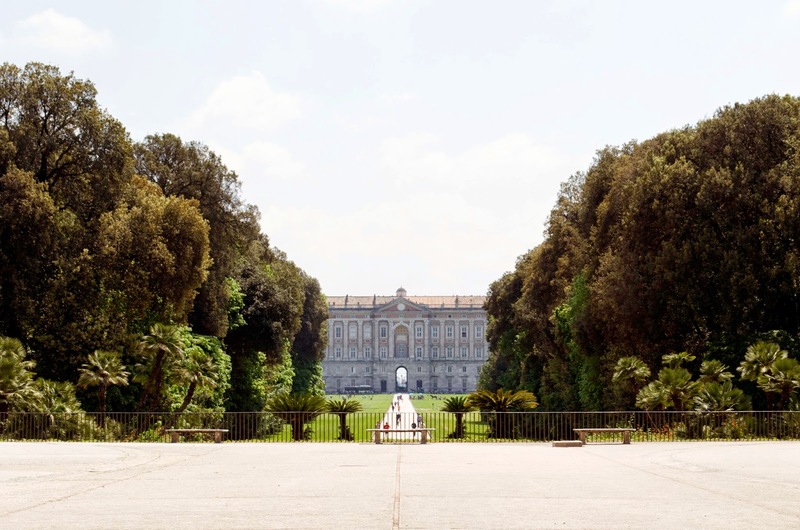 run after me: 76.Italian heritage in Caserta. 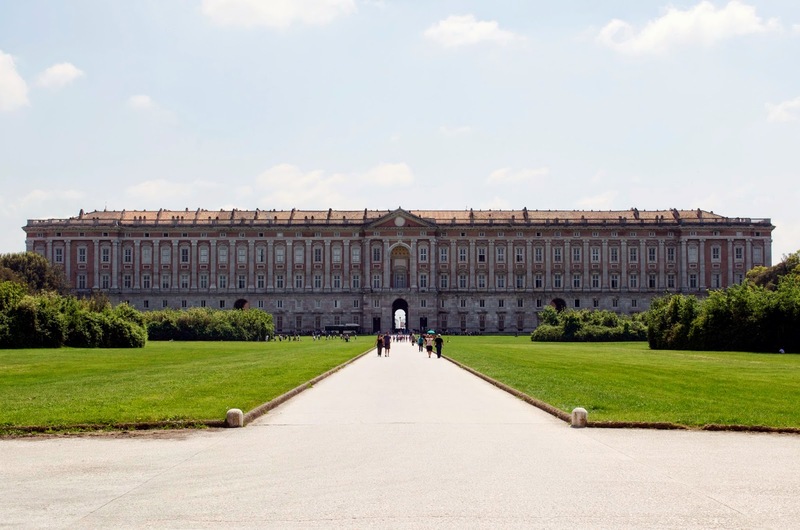 Last week I went to Naples with my boyfriend a couple of days (as you could see on my IG profile): one we visited the city and the other one we moved to Caserta to see the famous Reggia. 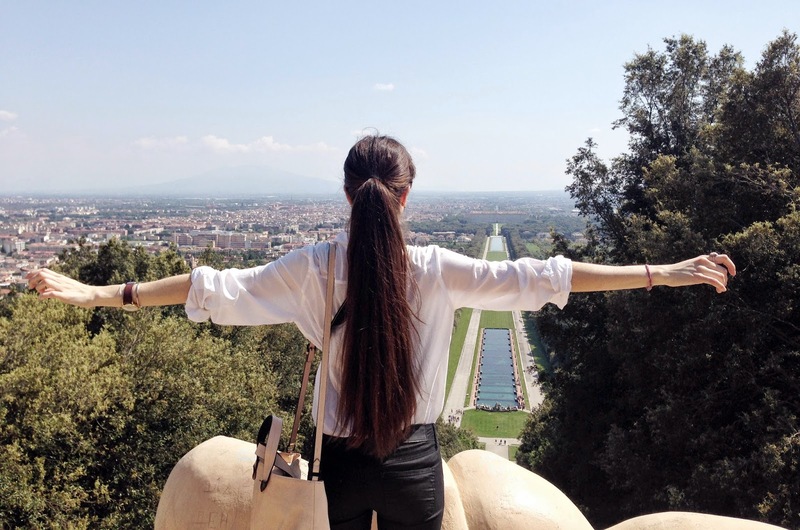 What impressed me most was the big size of the place, I mean the size of the palace that was I think bigger than the French Versailles Palace and most of all the length of the park: it takes 3,5 kilometers from the entrance of the palace until the end of the garden (where there's me in the pic). 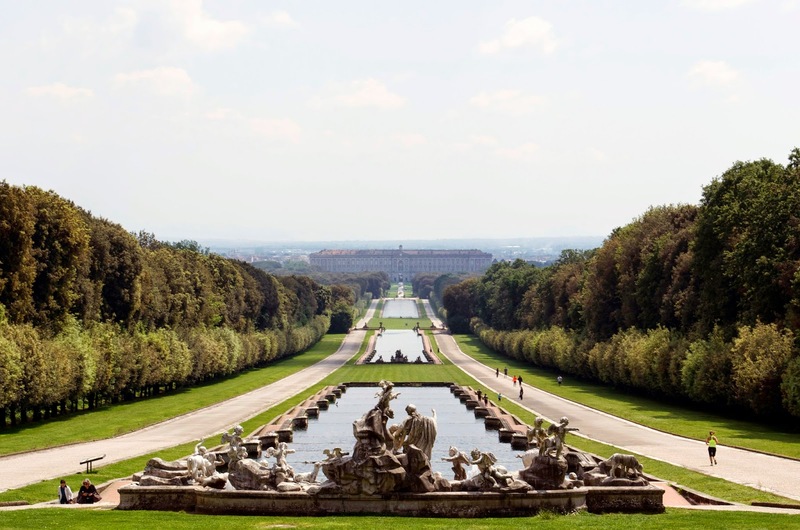 It was so suggestive and such an amazing experience and we couldn't do without walking for all the way of the park, so we took a walk of more than 7 kilometers in that magic sunny day. 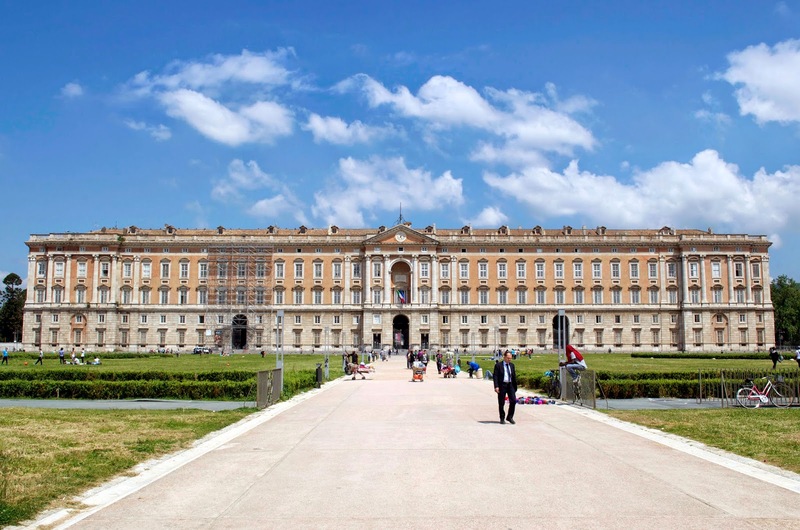 Even if the Versailles Palace will always remain a gorgeous place often bounded to a lot of fairytales, the "Reggia of Caserta" deserves to be visited once because it belongs to the wonderful Italian heritage we have the luck to own in our country.